Added to sitz bath water. 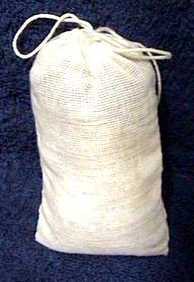 Applied directly to perineum using a pre-prepared washcloth soaked in the solution, folded and frozen. Placed in your peri bottle and used as a healing rinse. Brew not used within two days should be frozen for later use if desired. For external use only. Always consult your health care provider before using this or any other herbal remedy. Free Shipping on any quantity.